As a movement of thought, the resurgent conservatism of twentieth century America cannot achieve maturity without a properly worked out historical self-image—a documented and convincing picture of what traditions, tendencies, and movements it is heir to. In its earliest stages the conservative resurgence has conceived of itself largely as an extension of the European Burkean and Catholic traditions, because these were the traditions most familiar to the thinkers who first gave systematic expression to anti-Liberalism in this century. While this approach has provided a useful philosophical critique of Liberalism, it has left the history of conservatism on this side of the Atlantic in great ambiguity. Various resolutions of the ambiguity have been essayed, none satisfactory. 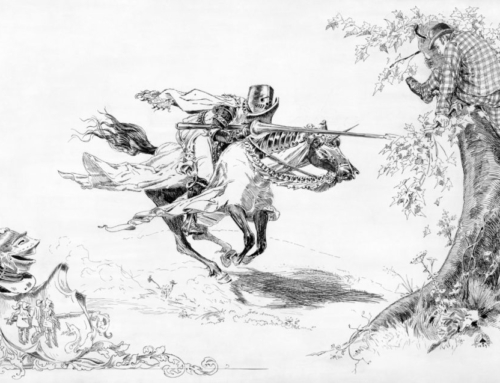 Some Liberals have drawn the conclusion, not an entirely illogical reading of the ideas of some conservatives, that the American experience has been in toto anticonservative, i.e., anti-legitimate and anti-traditional in the Burkean sense, and that, therefore, there is and can be no American conservative tradition. Some conservatives have tacitly accepted this view by evading the question of the historical roots of American conservatism. Others have turned to a facile catholicity, linking together such diverse and inimical figures as John Adams and John Randolph, Abraham Lincoln and John C. Calhoun, into a rather eclectic chain of tradition. In general, however, American conservatives, when they have felt the need to establish their lineage, have accepted the rather conventional and threadbare descriptive framework of liberalism-conservatism already existing in American historiography and popular lore. This conventional description postulates a Federalist-Whig-Republican conservative line on the one hand, and a Jeffersonian-Jacksonian-Populist-New Deal liberal line on the other. Conservatives have tended to identify themselves as the heirs of the first and to repudiate the second as the line of twentieth century liberalism. In thus yielding to the bounds of a hostile dialectic, conservatives have erred. Neither of the chains postulated is a true continuum of any tradition, and the dichotomy they express is a self-serving fabrication of twentieth century social democratic (i.e., Liberal) historians seeking to formulate a false tradition of legitimacy for their own radicalism. Conservatives have damaged their understanding of their own heritage by accepting both the analytical aid evaluative framework of Liberals in regard to the history of the United States. If Arthur Schlesinger, Jr., has postulated a Jacksonian Democracy which was a radical, anti-capitalist, and undilutedly democratic ancestor of the New Deal, conservatives have responded, not by achieving their own understanding of Jacksonian democracy, but by turning Schlesinger on his head and disapproving Jackson and approving those who opposed him. Conservatives are thus in a position of accepting (and turning inside out) the historical analyses of a school of thinkers whose economic and metaphysical analyses they would not leave unquestioned for an instant. Before American conservatism achieves a full understanding of what it is and whence it comes, it must achieve its own painstaking, comprehensive, and subtle reevaluation of the political movements of our history. This paper identifies and delineates one possible tradition of American conservatism-the Jeffersonian tradition, properly understood. This formulation will not be accepted, at least at first glance, by most thinkers identifying themselves as conservatives, but it is hoped that it will at least show some of the flaws in the existing understanding and point to questions that need answers. What should an American conservatism seek to conserve? Reducing analysis to the simplest possible terms, it should seek to conserve the structure of society and government that is the most organic, legitimate, and just for the American nation, i.e., the federal and constitutional republic bequeathed to us by that unique event, the American Revolution, a “revolution” which was prudential rather than revolutionary, preservative rather than innovating, legalistic rather than speculative; a revolution for life, liberty, and property, made by propertied, principled gentlemen expressing the best of their inherited political wisdom; a war of national independence waged without mass romantic nationalism. One may, of course, maintain a view of the American Revolution as radical. Such a view comforts two groups-radicals seeking a line of legitimacy for themselves and conservative purists who would reject the American experience altogether. The latter have aptly been described by the National Review as indulgers in a Manichean heresy, and indeed they would out-Burke Burke himself. The American who maintains the unique legitimacy of his revolution puts himself in the company of distinguished European conservatives, of whom Friedrich Gentz, the Prussian adviser of Metternich, was perhaps the most persuasive. Republicanism. The basic form of the government is one in which sovereignty rests in the people as a whole but is expressed in the rule of a qualified majority under the restraint of law. He is the conservator of republicanism who sees to it that the democratic and aristocratic elements remain in proper balance, that the polity does not veer too far toward mobocracy or oligarchy. Federalism. Organically, the American republic is decentralized, i.e., the sovereignty of the people is exercised by them in part as citizens of indestructible states rather than as one undivided nationality. He is the conservator of federalism who sees that sovereignty remains so distributed. This scheme of the American system has been set forth (with danger of gross over-simplification) so that historic movements may be measured as to how much they tended to conserve or to undermine the fundamental elements. Two warnings should be inserted. First, a religious-moral basis, stemming from the Christian tradition but related to no specific denomination, is assumed. The second warning concerns property and its role as a conservative influence. Property, of course, is an element of consideration in a just and legitimate government. Because of this conservatives have sometimes tended to identify with those historical political groups who seemed to be the conservators of property and against those who seemed to represent the unjust acquisitiveness of no-property. But, in fact, prior to the New Deal there were no significant contests in America between property and no-property. The ordinary form of political conflict was between various forms of property. Conservatives are aware that the Founding Fathers feared the undermining effects of the propertyless mob on the social order. They are less aware that the Fathers also feared the undermining effects of aggressive and excessive wealth. Thus John Adams was concerned repeatedly with the danger to the republic from wealthy and ambitious men (the Roosevelts, Rockefellers, Kennedys, etc.) who he rightly saw would preserve their own inordinate interests by allying themselves with the mob against the great class of middle and upper middle property owners who were the true backbone of the country. We are so used to regarding the work of the Philadelphia Convention as noble, final, and indispensible that we have lost sight of the extent to which it was innovative, speculative, and antitraditional, overlooking that the delegates violated their instructions (which were to amend the Articles of Confederation), that several distinguished members refused to sign the Constitution, and that some states ratified in a spirit of reservation and trial rather than of finality. The organic or natural form of government that emerged from the Revolution, as expressed in the first constitutions of most of the states, embodied a weak form of separation of powers in which the legislative branch was clearly predominant and the independence of the executive and judiciary only partial. Let us turn the usual categories of reference around and consider for a moment the claim of the Anti-Federalists to be conservatives who wanted to preserve this natural and spontaneous outgrowth of the Revolution in which the powers of government were few and such powers as there were diffused among the states and within the states among the most numerous branch of government, the legislature, which was itself checked by diversity of interests, frequent elections, property qualifications, and bicameralism. Let us view the Federalist proponents of the Constitution as innovators who wanted to change to a complicated system of checks and balances which was to a degree abstractly conceived and based upon detached intellectualizing about separation of powers as a supposed virtue of the British Constitution. The chief concern of the Federalists within the polity was to check a rash majority by erecting powerful independent offices in the executive and judiciary. Somewhat short-sightedly, they believed that these centers of power would always be instruments of restraint. They failed to foresee the true course of events, i.e., that there was no natural reason why the executive and judiciary would remain conservative, and if ever once captured (as in the New Deal) by the passions of the mob or the spirit of rash innovation, the presidency and federal courts provided impregnable bastions for radical sorties upon the social order. The Federalists can thus be seen as tinkerers who sought to secure conservatism by means of abstractly conceived governmental machinery, Their tinkering has been largely responsible for the successes of anticonservative movements and the seemingly irreversible institutionalism of New Deal Liberalism in the federal courts and bureaucracy. The Anti-Federalists sought to check the abuse of power by keeping all government weak and leaving the predominance of such power as there was in the legislature which was, by its nature as a representative of diverse interests, a cautious and compromising body. The Anti-Federalists, and the Jeffersonians who succeeded in engrafting the principle of weak government onto the Constitution through the Tenth Amendment, were more accurate in analysis and more conservative in proposal. The Federalists’ political speculations (as have those of twentieth century liberals to opposite ends) tended to focus too much upon European society and not enough upon particular American conditions. The unrestrained majority which the Federalists feared was not, in America, a desperate, propertyless mob, but a restricted electorate of middle class property holders. The danger to the constitutional and federal republican polity in America has never come from the majority but rather from ambitious tyrants and alienated intellectual coteries for whom the strong presidency and judiciary are tailor-made fortresses. Suppose that instead of writing a Constitution which erected a powerful central government with a powerful president and courts, the Philadelphia Convention had followed its instructions and had provided amendments for the Articles of Confederation which had tightened the bonds of union and made a more viable federal structure, allowing a degree of separation of powers within a general parliamentary system, without creating an overweening central power. Would that not have been a proper role for conservatives who are by definition disposed to preserve even while reforming? The Federalists introduced into the American polity, theoretically as a check and a balance, a monarchy (presidency) with power far in excess of the monarchy in the British system which was their ostensible model. They carried the principles of division of powers and restraint of innovation to such an extreme that they undermined the legislature. Can a twentieth century conservative doubt that the government which would have resulted from a reformed Articles would have been more conservative, that it would have been more conducive to the preservation of the constitutional and federal republic against unlimited centralized democracy, and more responsive to the cautious and responsible elements of the polity against the aggressive and fanatical than the present Constitution? The locus of power in such a federal government would be a legislature broadly responsive to the diverse interests of the Union like the present House of Representatives rather than a president and bureaucracy responsive to strategic and untutored blocks of mass opinion or aggressive coteries of ideological fancy. Indeed, Liberal historians have come to recognize that it was the Federalists who provided them with their powers to reconstruct society by plan and have turned against the Anti-Federalists. In an article which is reminiscent of recent attacks on “radical rightists,” an ultra-liberal historian portrays the Anti-Federalists as obstructionists with excessive fears of strong governmental power. The party battles of the 1790’s which resulted in the triumph of what is known as Jeffersonian Democracy have been seen largely in the terms which the Federalists intended them to be seen. Conservatives today tend to see the Federalists of the period as champions of conservatism, stability, and diluted democracy, and to see the party of Thomas Jefferson (which was also the party of James Madison, John Randolph, and Nathaniel Macon) as a wild-eyed mob imbued with the dangerous principles of French philosophes. This partisan picture from the times is inaccurate and, incidentally, is quite comforting to twentieth century Liberalism. The Jeffersonian party was led by the American group the most truly aristocratic in the best sense, the Virginian planters. It represented the majority conservative agricultural property interests of the country at large against the aggressive commercial property interests of the Northern cities. 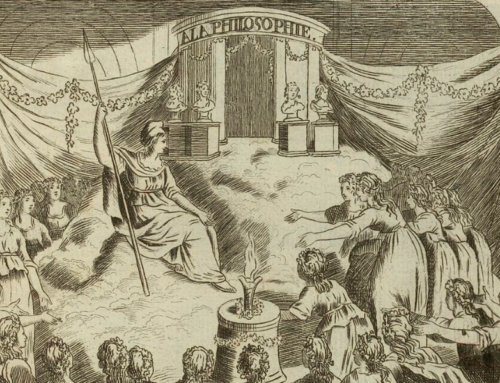 The issues of the French Revolution became entwined in the American party battles of the 1790’s, but the cleavage had more to do with partisan name-calling, anglophobia, and the sectionality of seafaring interests in America than with ideology. Very few Jeffersonians approved the French Revolution after it passed its milder phases. To one group of American conservatives who were bred to regard Thomas Jefferson as the paramount hero of states rights and constitutionalism, it is shocking to encounter the virulence with which another group of American conservatives attacks Jefferson as the archdemocrat. It is true that as a thinker Jefferson was free-ranging. But one is hard put to find genuinely radical acts of Jefferson the statesman. He favored some experimentation with the legal forms of society, but almost entirely in subordinate matters. I would be prepared to maintain in a forum where there is adequate space that none of the tinkering Jefferson did was as fundamental or as harmful as that of John Adams in riding his hobbyhorse of checks and balances. Certainly Jefferson was a more truly conservative statesman than that rash innovator, Alexander Hamilton, whom Russell Kirk has rightly described as not qualifying as a conservative. The disagreement between Federalists and Jeffersonians was a matter of mechanism and interests, not principle. While Jefferson was optimistic about popular rule in America, I believe it would be difficult to prove that he believed in the unlimited perfectibility of man. Jefferson and the Virginian school of political philosophy which he represented were basically English legalists, not French radicals. The essence of his disagreement with Federalism was summed up in Jefferson’s question: “If man cannot be trusted with the government of himself, how can he be trusted with the government of others?” The Federalists, who postulated the imperfectibility of man, also postulated a class of the wise and good (themselves) who were fit to rule, presumably because inexplicably exempt from the general corruption human nature is heir to. To this Jefferson replied that rulers were as likely to be corrupted as the ruled, therefore the proper response to the fallen nature of man was a government too weak to afford predominant power to any one group of men. The Jeffersonian stance was the more conservative because the more truly in keeping with the facts of human nature and the particular conditions of America. Federalism, representing at its worst a single-minded pursuit of one set of property interests at the expense of another, and coupled as it was with a virulent New England chauvinism, was not necessarily an essentially conservative force in its long-range impact. That a rather fanatical and self-seeking group of men called Thomas Jefferson a Jacobin does not prove him one, any more than calling Senator Goldwater a fascist proved him one. The Federalist grasp for centralized power symbolized by the Alien and Sedition laws was not an effort by responsible gentlemen to curb an unlicensed mob. Rather it was a threat to the freedom to criticize of other propertied, principled gentlemen who were quite as able to govern as the beneficiaries of the laws. Freedom to criticize the rulers is, after all, an aristocratic, not a democratic right. Conservatives would do well to add to their Madison, Randolph, and Calhoun an acquaintance with that great Jeffersonian thinker, John Taylor of Caroline, who brilliantly laid low the pseudo-aristocratic pretensions of the Federalists, the injustice of their economic system, and the radical dangers of their view of the judiciary, as well as accurately predicted the mobocracy that would ensue from the triumph of their principle. It is not surprising that the conservative understanding of the phenomenon known as Jacksonian Democracy is defective since the historiography of the subject has constituted a great battleground of contradictory claims. Recently, however, historians, working from both Liberal and conservative biases, have reached agreement on a few points which have not yet penetrated popular lore or conservative thinking. The most important of these points is that the party of Andrew Jackson was not the creator of the phenomenon misnamed Jacksonian Democracy. Both the Democratic Party of Andrew Jackson and the party of those who opposed him were mass democratic political movements which resulted from a spontaneous increase in mass political participation and a spontaneous demand for removal of aristocratic legal restraints from state constitutions in the 1820’s and 1830’s. Neither party was clearly more aristocratic and conservative or democratic and radical than the other. Jackson himself was a wealthy cotton planter from middle Tennessee who had always sided with the economically more conservative faction in his state. Many conservative aristocrats like James Fenimore Cooper identified with the Democratic Party. The most virulently leveling people of the time, the New England poor whites of western New York and the Midwest who spawned a hundred isms, were Whigs and Anti-Masons, bitterly opposed to Jacksonians as aristocrats. Nor was there a direct line of continuity from Jeffersonians to Jacksonians and from Federalists to Whigs. Many Federalists became Democrats and many Whigs were former Jeffersonians. The party situation was much as it has usually been in American history until very recently. Neither party was really ideological in the European sense, and the classes and interests which composed them varied from state to state. Conservatives have tacitly accepted Arthur Schlesinger’s portrayal of Jacksonianism as anticapitalist, socialist, when in fact all parties and all Americans of the time except a few intellectual radicals were decidedly capitalist in philosophy. Historians, including both conservatives and honest Liberals, have recently been groping toward a more sophisticated understanding of what was at issue in Jackson’s famous Bank War. Though the economic issues, as always, are very complex; simply stated, the picture that emerges is not one of socialists against capitalists, but of Democratic laissez-faire capitalists against Whiggish monopoly capitalists. The impetus against the Bank of the United States came from energetic rising businessmen who wanted expansion, which in their opinion was checked by a government-granted monopoly which profited a few men and one region at the expense of the businessmen and the commerce of other regions. Jackson and his chief supporters had an impeccably conservative predilection for hard money. The Whigs represented the capitalism of manufacturers and national bankers. The Democrats represented the capitalism of state bankers, importers, and agriculturalists. Though the Jacksonian Party in some respects acted to expand the power of the presidency within the federal government, its general over-all tendency was to weaken the power of government at all levels, particularly the power of the federal government to dispense economic favors such as tariffs, subsidies, and internal improvements. This was the primary issue between the Democratic Party, nationally, and its opponents, the Whigs, and their successors, the Republicans. Aristocrats like James Fenimore Cooper saw the Democratic Party as the truly conservative party-that which was preserving the purity and virtue of the pristine republic in which a representative voted for his convictions rather than for bribes for his constituents; the Whigs, who were, to be sure, conservatives if being in favor of government handouts to business is conservative, he regarded as rather vulgar men on the make whose basic principle (also the basic principle of twentieth century Liberal politics) was to bribe part of the electorate by economic largess distributed by the government at the expense of another part of the electorate. The basic issue was one of Jacksonian laissez-faire or classical liberalism (as evidenced by the Taney Court’s erosion of government-granted business privileges under the contract clause) versus a kind of Whiggish progressivism which proposed that the government take an active economic role in promoting the development and prosperity of the country (as evidenced most cogently by John Quincy Adams’ first message to Congress which recommended, among other things, federal construction of roads and canals, a national university, and the passage of laws designed allegedly for the promotion of agriculture, commerce, manufacturing, arts, sciences, and literature). Possibly the Whigs were correct in their desire for tariffs, subsidies, and government-built internal improvements to develop the American countryside. Even so, theirs was not in that regard a conservative stance, not a program which placed preserving the constitutional and federal republic at the top of the list of priorities. A government which dispenses favors to the business classes at the expense of the agricultural classes is only the opposite side of the coin to a government which dispenses favors to labor unions and welfare “clients” at the expense of the business classes. Despite Arthur Schlesinger’s skillful pleading, most of the radicals and reformers who flourished in the Jacksonian era were not Democrats. The abolitionists, working men’s parties, woman suffragists, utopian socialists, and adherents of other isms were part of what is known as the era of Jacksonian Democracy, but they were mostly not in the Jacksonian party. The radicals were mostly alienated intellectuals who came, as do twentieth century Liberals, out of the self-appointed, privileged aristocracy of the Eastern Establishment, and who regarded the common sense Jacksonian Democrats of the South and West about as the Eastern intellectuals of today regard the common sense conservatives of South and West, as uncouth and contemptible obstacles to the grandiose plans of elite thinkers. The few real radicals of the Democratic Party, the Locofocos of New York who were never a majority among New York Democrats, ended up in the Republican Party by way of Free-Soilism. There is probably no conservative consensus about the Civil War. I suspect that one will find conservatives dividing over the Civil War along a line which marks off a tacit difference of premises. Those whose conservatism is basically political, who value America because it is a surviving constitutional republic in a revolutionary world, which has fused order and freedom with fair success, will, like Frank Meyer, regret the great body blows delivered by the Republican Party to the constitutional and federal republic in the Civil War and Reconstruction. Those whose conservatism is basically organic and nationalistic, who put a transcendent value upon the unity of the American land and people, will, like Professor Harry Jaffa, see the Republican Party as the conservative savior of the nation. The question of whether the Confederate South or the Republican North was the carrier of the American conservative tradition can probably be debated fruitlessly and forever. 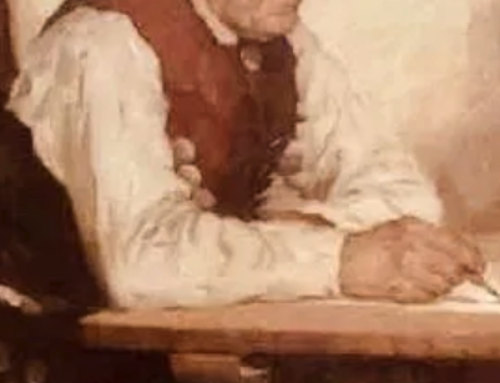 Possibly a thinker of the stature of Richard Weaver could have produced a synthesis, as seems to have been implied in his movement from Southern Agrarian to admirer of Lincoln. I will only comment that conservative scholars like Dr. Jaffa, in their treatment of the Civil War, tend to make themselves, historiographically, comrades in arms of the ilk of Arthur Schlesinger and Bernard DeVoto; and it seems to me that they are in danger of “drawing up an indictment against a whole people,” and of treating the legalistic and tradition-minded rising of the South as if it were the treason of a handful of subversives. It seems to me impossible to deny that within the North the Democratic Party was the conservative party in the era of Civil War and Reconstruction, if conservatism is defined as a preference for preserving republicanism, federalism, and constitutionalism. Conservatives who are accustomed to thinking of the New Deal Democratic Party tend to read back into history and to assume that the Republican Party has always been the more or less conservative party and the Democratic Party more or less the more radical. The belief, however prevalent, is false. Neither party was anti-capitalist, and we should not allow Liberals the comfort of presuming a respectable anti-capitalist tradition in this country. The Democratic Party (with the aid of some former Whigs) did yeoman service in the Civil War era in hewing to the line of states rights, strict construction of powers, and government noninterference in the economy, i.e., in conserving the constitutional and federal republic, while the Republican Party was embarked upon a program of radicalism in some ways still unprecedented. There is very little done by liberals in the twentieth century for which one cannot find some ancestor in the acts of the Republican Party in the nineteenth century. Lincoln’s arbitrary exercise of executive power has still not been matched. The great war powers exercised by Wilson and Roosevelt were formally granted them by Congress. Lincoln’s were simply seized. In deliberate indifference to the letter and spirit of the Constitution in pursuit of expediencies and passions of the moment, a Great Society Congress can find ample example in the conduct of the Republican Congressional party from 1860 to 1876. In twisting the meaning of the Constitution to serve special interests and ideologies, the Warren Court can find colleagues in many of the Republican justices of the post-Civil War period. The first example of large scale use of FDRs famous tax, spend, and elect formula is the billions voted by the Republican Party for Union war pensions. The Radicals who formed one wing of the Republican Party are exact psychological and moral ancestors of today’s intolerant Liberals. From the subsidence of the issues of the Civil War as the major issues of politics, i.e., the end of Reconstruction, until the beginning of the New Deal, the Democratic and Republican parties were divided chiefly by sectional, ethnic, and historical considerations, not by class or ideology. Neither party was anticapitalist. The two well-known leftist movements of the time, Populism and Progressivism, drew from both parties. Both parties contained capitalists, professional men, laborers, and farmers. Capitalists who were engaged in manufacturing or types of agriculture which found a protective tariff useful tended to be Republican. Capitalists who were engaged in finance or international trade (like August Belmont), or in types of agriculture harmed by protective tariffs tended to be Democratic. In regard to the three elements of the polity we have defined as worthy of conservative allegiance, the Democratic Party was probably, on the whole, sounder than the Republican Party on constitutionalism and federalism. The nativist prejudices of Yankee Protestant Republicans have left an impression that the Democratic Party of “rum, Romanism, and rebellion,” was the more demagogic and corrupt, but in fact both parties were demagogic and machine-ridden. They did their demagoguery and corruption with different groups. The word “populist” is commonly used as an epithet by conservatives and recently also by Liberals, though the exact meaning of the word as used has never been clear. With Populism, as with Jacksonian Democracy, conservatives have tended to accept without question the analysis and evaluation of Liberal historians, merely turning it inside out. Liberal historians, seeking ancestors for New Deal radicalism, have given us our conventional image of Populism. The Liberal distortion has been subtle, and to restore the image to rights requires careful delineation of what Populism was and was not. On the surface of things, Populists will clearly be seen as nonconservatives. They favored government ownership of railroads; the progressive income tax; direct democracy through recall, referendum, and initiative; and inflation. Considering the context in which these proposals were put forth demonstrates the extremely limited radicalism of the Populists, however. Populism was chiefly a sectional movement. It was not in essence socialist and anticapitalist in the sense that the New Deal was socialist and anticapitalist (although certain real radicals and socialists clung to its fringes). The Populists, it is now recognized, were not wild-eyed, barefoot radicals, but were in fact the respectable businessmen and gentry of certain regions of the country. Populism was precipitated by a belief (whether true or not is debatable) that the arbitrary intervention of the federal government in the economy in favor of certain interests (manufacturers protected by tariffs, particular capitalists who were granted charters as national bankers) had resulted in an inordinate and artificial accumulation of wealth in a few hands and in the Northeastern section of the country at the expense of the legitimate business interests of certain agricultural regions. The railroads which the Populist sought to regulate were not the creations of rugged private enterprise. In most cases they had been extensively subsidized by federal, state, and local governments through grants of public lands, cash, and tax and tariff concessions. They had engaged in large scale swindling of investors and had been the source of corruption in the legislative process (surely a matter of concern to conservatives). They levied rate discriminations against businessmen in certain locations not justified by economic costs. In other words, the provocation was great and some solution was necessary. In their fear that a concentration of great wealth in a few hands tended to undermine the Republic the Populists were more in tune with the Founding Fathers than were the “conservative” business interests of the time. The Founding Fathers thought of the leadership of the best in terms of a gentry which made up perhaps 10 percent of the population and owned perhaps half the property. They did not think in terms of a Rockefeller-Morgan oligarchy which made up 1 of 2 percent of the population and owned 90 percent of the real wealth. One who will take the trouble to read the Populists’ literature will find that they were concerned as conservative rural Americans about the dangers to the Republic from the hordes of propertyless urban workers as well as from the international bankers. The initiative, referendum and recall, and the direct election of senators were certainly anticonservative in the structural sense in that they sought to modify republicanism in the direction of direct democracy. There was, however, already a condition of mass democracy; and the Populists believed, perhaps not unreasonably, that a mass democracy dominated by popular will might be sounder than a mass democracy dominated by political machines. The Founding Fathers had intended the republican statesman to be an independent gentleman of conscience who pursued politics as an honor and duty. He had in fact become, to an unforeseen extent, the dependent hack of a political organization, pursuing politics as a vocation. Direct democracy in the Populist program was radical in method but conservative in instinct in that it aimed nostalgically to restore a more honorable relationship between people and representative. Finally, the Populist advocacy of inflation was a product of a period of deflation in which a national debt contracted in wartime greenbacks was being paid off in very hard gold dollars. The Populists in effect desired a restoration of an earlier fiscal status quo, not revolution. Populism, although less respectable, was also far less fundamentally radical than the Progressivism which followed it and expressed very different discontents. It has become the fashion among Liberal historians to sneer at the Populists who, after all, preferred to think for themselves (however awkwardly) rather than tamely accept the intellectual and moral conventions of the Eastern establishment which were quite as pervasive and quite as false as today. There is a historical kinship of spirit between those who resisted the Eastern establishment in the 1890’s and in the 1960’s. A chart could be constructed showing a correlation between the areas of the country which strongly supported William Jennings Bryan and Barry Goldwater. Prior to Progressivism the political opinions of most Americans, however bad or wrong, had made sense in their own context, had borne some relation to either common sense observation or inherited prejudice, (prejudice being to Burke the wisdom of unlettered men). The opinions of the mass of Progressives were superficial plausibilities induced by that little learning that is a dangerous thing, aggravated by a physical remoteness from the sphere of tangible action. With the seizure of a part of the electorate by the Progressivist mentality, for the first time image became more important than reality. Only then could the American voters reject a sincere and decent William Jennings Bryan or an honest and able William Howard Taft for a dangerous buffoon like Theodore Roosevelt or a coldly self-seeking hypocrite like Woodrow Wilson. Theodore Roosevelt was in a sense the first practitioner of modern Liberalism, a fact overlooked by conservatives who admire him as an exponent of a strong foreign policy (failing to make William Graham Sumner’s distinction between jingoism and a proper nationalism). Theodore Roosevelt, the respectable, privileged, Eastern aristocrat and Republican is the fountainhead of the idea that the federal government, and particularly the president, is responsible for solving all the problems of all the people, regardless of Constitution and justice. He was the first to project an image of a president who takes club in hand and bludgeons a reluctant Congress dominated by vested “interests” into doing the “right thing,” an image which he deliberately cultivated for his own aggrandizement. It was TR who gave us the now obtaining rule that a president is elected on his capacity for being a popular celebrity in the mass media rather than his capacity for statesmanship. If some forecaster of the 1920’s had perceived that a socialist revolution was to come to America in the next decade, he would not automatically have assumed that the Democratic Party would be the vehicle of the revolution. The Republicans, being the predominant party, encompassed greater extremes than did the Democrats and contained probably a greater number of Progressives. Harding and Coolidge were not Progressives but their bourgeois mindlessness and the mass worship they received were as foreign to the American tradition as the New Deal itself. The Democratic Party, despite the perverting influence of Wilsonism, maintained much of its allegiance to its traditional principles of states rights, strict construction, and laissez-faire, which, as has often been pointed out, were reflected in the 1932 platform. One could make an impressive list of New Dealers who had been Republicans before they came to FDR-including Henry Wallace, Harold Ickes, and Donald Richberg, not to mention such New Deal Republican stalwarts as LaGuardia, LaFollette, and Norris. One could make an equally impressive list of Democratic greats who repudiated the New Deal, including Al Smith, John W. Davis, William G. McAdoo, Lewis Douglas, and Newton D. Baker (some of whom viewed the New Deal as a takeover of the Democratic Party by Republican Progressives), not to mention most of the heretofore predominant Southern wing of the party. There were millions of Democratic voters who continued to be so through the New Deal because of economic interest or because the Republicans offered no attractive opposition, but who never succumbed to Liberal ideology and who fell away in droves when Liberalism began to harden into an elitist establishment. On the other hand, there were millions of nominally Republican voters who were in fact mesmerized by Liberal ideology and began to turn to the Democratic Party in the 1960’s. Through most of American history the conservative force of our society has been the great mass of sensible, productive, and self-respecting lower-middle and middle class citizens with a decent awe for inherited principles. The radical and undermining forces have been the alienated intellectuals and privileged, self-appointed aristocrats cut off from the mainstream of American life, whether Hartford Conventioners, Abolitionists, Progressives, or Liberals, who cared neither for republicanism, constitutionalism, or federalism, but for their own abstract panaceas and their own powers. Occasionally the radicals have been able to put together enough discontented minorities and befuddled middle class voters who responded to pseudo-intellectualizing rather than common sense, to make an electoral majority, but seldom have the radical and the conservative elements been separated clearly by party. Such a polarization seemed possible for the first time in 1968, when, the Establishment underminers and their allies and dupes, having completely taken over the Democratic Party, were repudiated by a new Jeffersonian coalition of productive citizens who were a majority in forty-four of the fifty states. This essay first appeared in Modern Age (Winter 1969-1970) and is republished with permission. 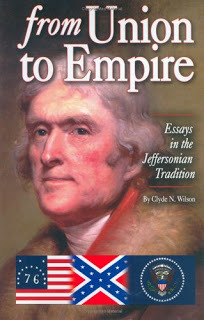 It may also be found in the superb book From Union to Empire: Essays in the Jeffersonian Tradition. 1. This is the thesis of Professor Louis Hartz well-known The Liberal Tradition in America (New York, 1955). 2. The conservativism whose ancestry I am seeking to determine here is not some pale reflection of Liberalism of the sort cooked up by Rossiter or Viereck. I refer to the movement which, with various reservations and differences of emphasis, coalesced in support of the candidacy of Barry M. Goldwater in 1964. 3. “Is Conservatism Dead?,” April 8, 1969. 4. Gentz’s 1800 essay contrasting the American and French Revolution is most readily available, in abridgement, in Edmund S. Morgan, ed., The American Revolution: Two Centuries of Interpretation (Englewood Cliffs, NJ., 19651, pp. 20-51. 5. There are, of course, commanding emergencies in any polity which will require the temporary and limited relaxation of law. 6. The Conscience of a Conservative, (Paper- back edition; New York, 1960). p. 13. 7. The rich, the well born, and the able acquire an influence among the people that will soon be too much for simple honesty and plain sense,” wrote Adams, arguing for the separation of the rich into an upper house of the legislature. The Founding Fathers had in mind the classical example of Julius Caesar. 9. Cecelia Kenyon, “Men of Little Faith: the Anti-Federalists on Representative Government,” William and Mary Quarterly, XII (1955). 10. Although he would not necessarily agree with me in placement of value or in detail, this is in essence the analysis of Professor Henry Paolucci in his excellent War, Peace, and the Presidency (New York, 1968), pp. 88-89. 11. A Program for Conservatives (Paperback edition; Chicago, 1962), p. 258. 13. Professor Eugene T. Mudge’s scholarly and thorough The Social Philosophy of John Taylor of Carolina (New York, 1939) provides an introduction to Taylor’s difficult works. 14. Lee Benson, The Concept of Jacksonian Democracy: New York as a Test Case (Princeton, 1961); Shaw Livermore, The Twilight of Federalism(Princeton, 1962); and Richard P. McCormick, The Second American Party System: Party Formation in the Jacksonian Era(Chapel Hill, 1966), are recent works of Liberal but capable scholars demonstrating the discontinuity of the first and second party systems and the absence of party-ideological cleavage in the era. 16. Cooper’s philosophy is set forth in his American Democrat of 1838. There is an illuminating foreword by H. L. Mencken in the 1931 Alfred A. Knopf edition. 17. Frank S. Meyer, “Lincoln Without Rhetoric,” National Review (August 24, 1965); “Again on Lincoln,” National Review(January 25, 1966). 18. Harry V. Jaffa, Crisis of the House Divided (Garden City, N.Y., 1959). See also his disagreement with Meyer in National Review(September 21, 1965). 19. Kevin Phillips’ excellent new book, The Emerging Republican Majority (New Rochelle, N.Y., 1969) documents this in detail. 20. Russell Kirk, A Program for Conservatives, pp. 34-35. This well-written article should be required reading for every high school student. I have found it immensely helpful in gaining a solid understanding of Jeffersonian Conservatism, and in clarifying my own conservative principles. Thank you, Dr. Wilson, for writing it, and to The Imaginative Conservative for sharing it.